Machine translators are technologies developed by software engineers and developers. Machine translators are tools used by wide range of people, from ordinary people to translation professionals. All these stakeholders have different goals and wishes for the technology. Despite all the technical difficulties, these conflicting goals might just be the biggest challenge of the industry. The ultimate goal for machine translation isn’t clear. Should it be a tool which makes the translators’ work easier? Or should it translate fast to help those people dealing with multilingual communication everyday? Or should it be fine-tuned until it produces the perfect quality without the help of a man? The latter can be called a mission impossible in the light of current knowledge. The first one hasn’t still materialized with its full potential. The middle one is closest to the reality so far. The core of a typical machine translation development team consists of technical experts and linguists. They have the knowledge to build up technology and to manage languages and grammar. Unfortunately, the focus is often lost into some technical or linguistic details. The problem is solved only when the machine can translate a certain example sentences correctly. The fix can take time – a lot of time. There are so many exceptions to take into account. It takes a lot of time to acknowledge and write down all the possible special cases. All the special terms and official names are a nightmare. 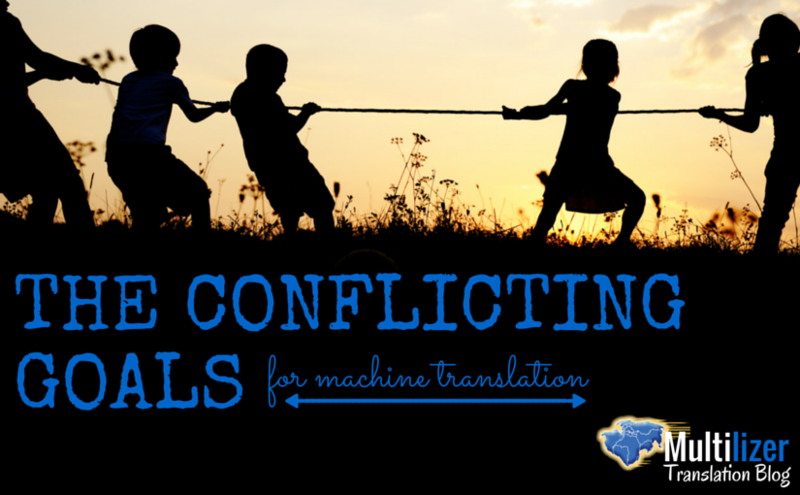 There are different approaches to develop a machine translator. Practically speaking, statistical machine translators are often too generic, and rule-based machine translators are too slow to use. (You need to track and add all the exceptions and special cases.) The combination of these two would be worth trying but it’s easier said than done (and some even argue that it’s impossible). From the professional translator’s view, even a customizable tool itself is almost always too technical for fast usage. All sorts of set-ups and settings are needed. The highest quality requires using a industry specific vocabularies and terminology lists. Up-to-date and wide translation memories take time to build up. Every investment, like machine translation customization, needs to bring return to be profitable. Do translators have the time and energy to train the machine or is it easier to post-edit? Or simply to just translate from scratch? Machine translation and post-editing are made in separate tools which makes it laborious for a translator. Translators get paid by the outcome. Their goal is to produce a well-written translation on time. The time that is needed to train a machine or to learn how to integrate two separate tools won’t bring any money to the table. As long as companies develp language technologies and potential users want useful tools, supply and demand don’t fully meet in the language technology industry. Translation quality may not be the issue with an unsuccessful market entry of a new machine translation technology. The user experience might be too complex. The tool might not do what the user wants. The machine translation technology might not fulfill the right need. A simple translator for PDF documents. 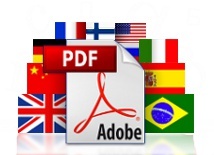 Get machine translation for your PDFs with just few clicks. Learn more.